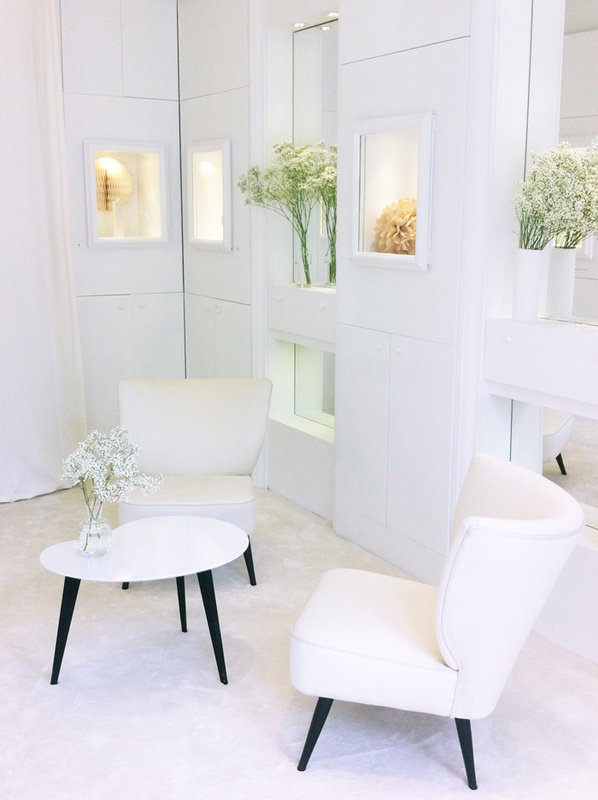 The Maison POIRAY has recently opened a boutique exclusively dedicated to future brides and grooms. 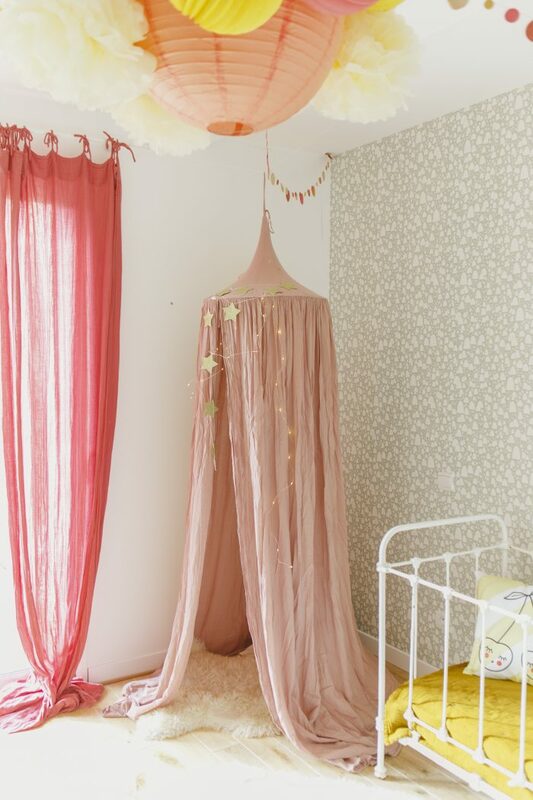 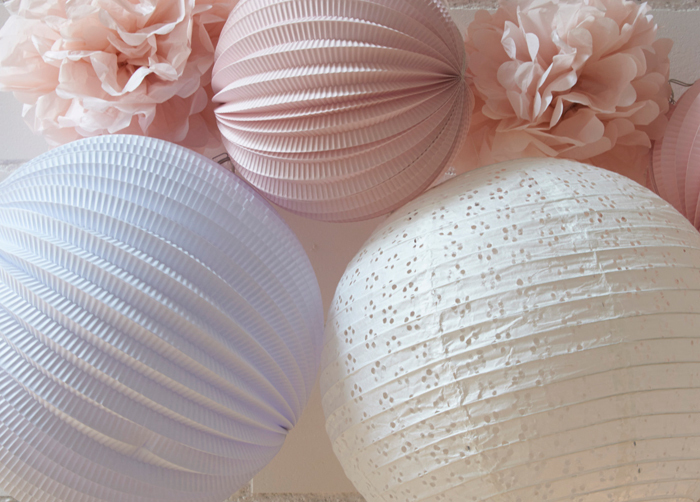 A pastel shades boudoir, beautifully decorated with our accordion lanterns, paperfans and pompoms, in a soft color palette. 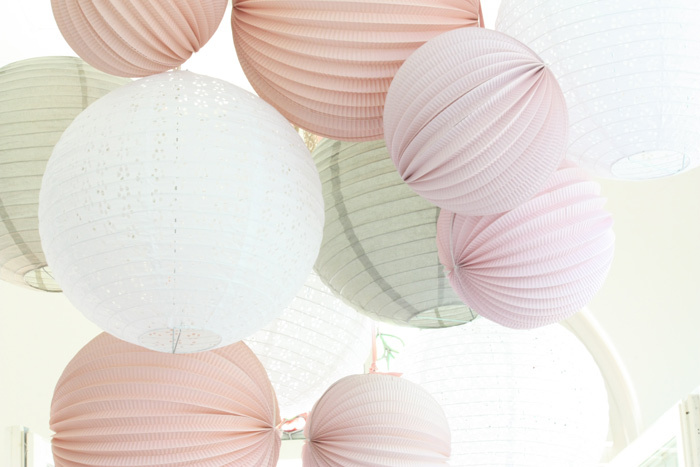 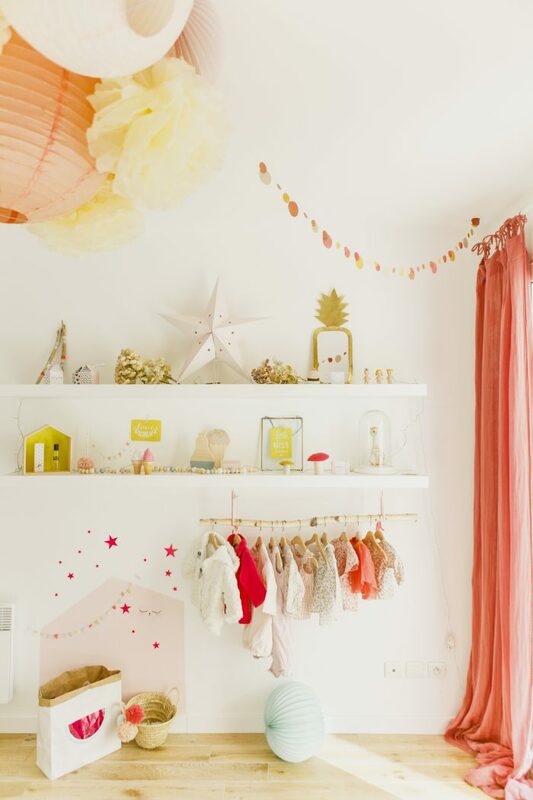 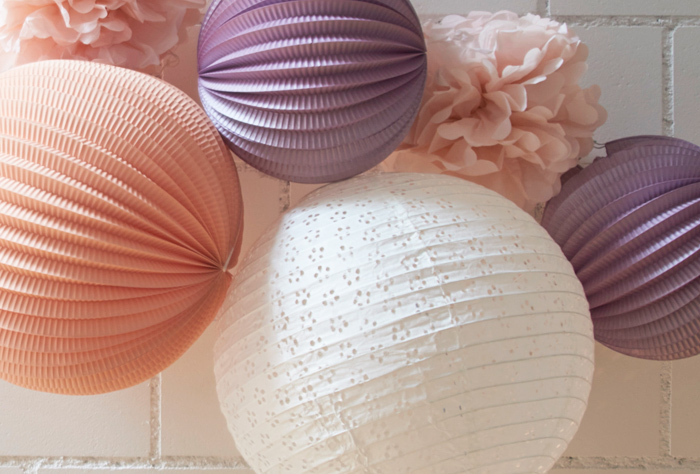 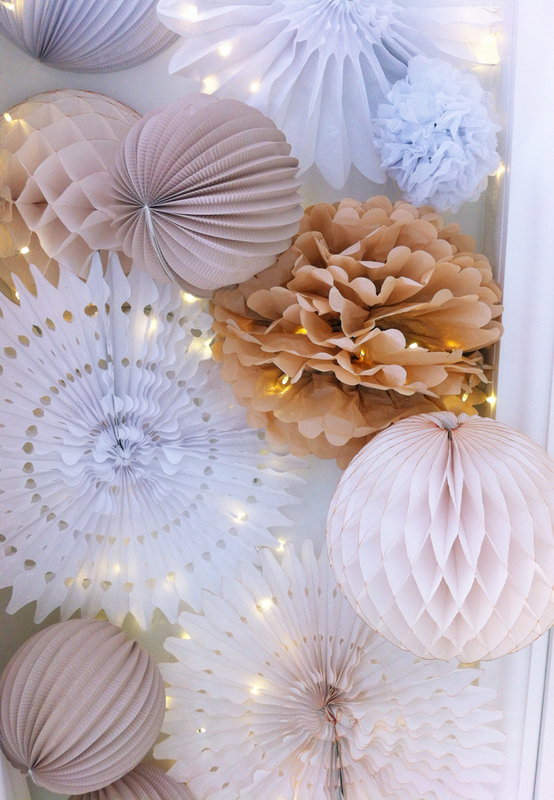 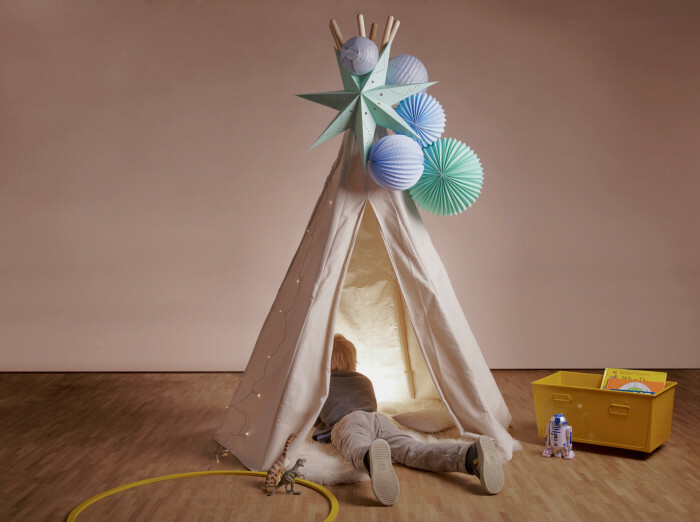 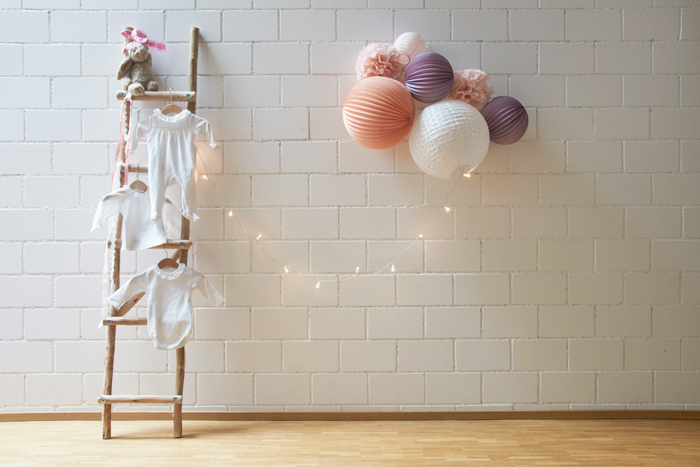 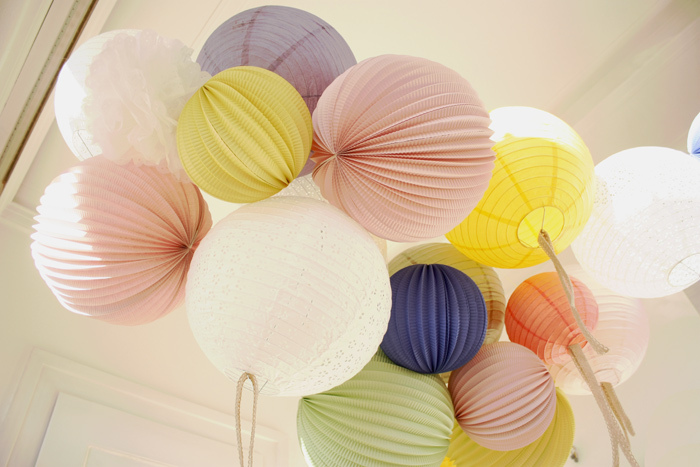 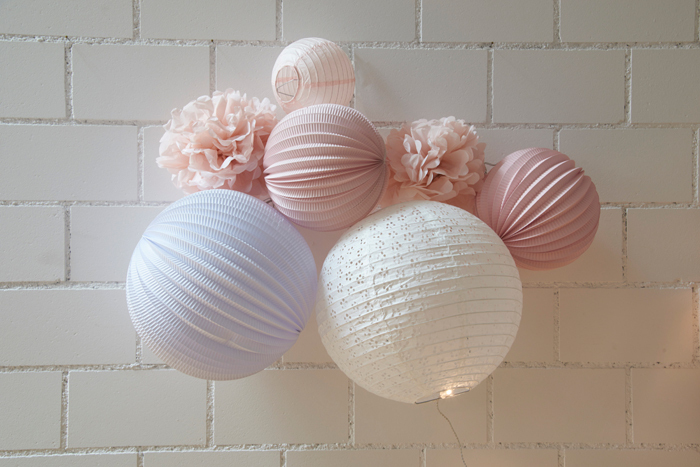 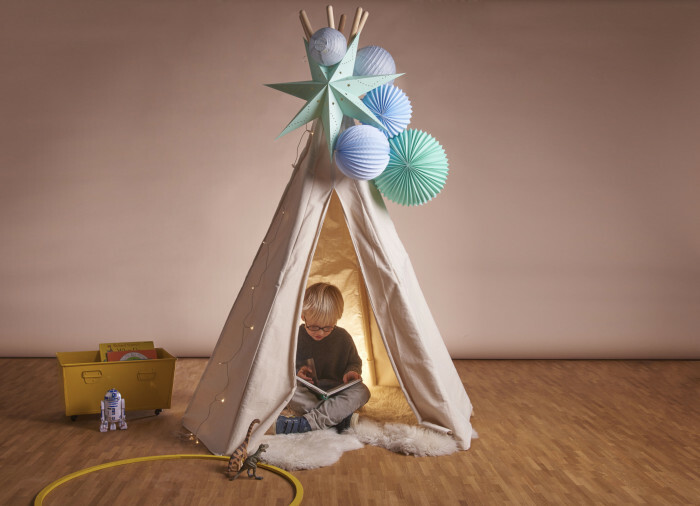 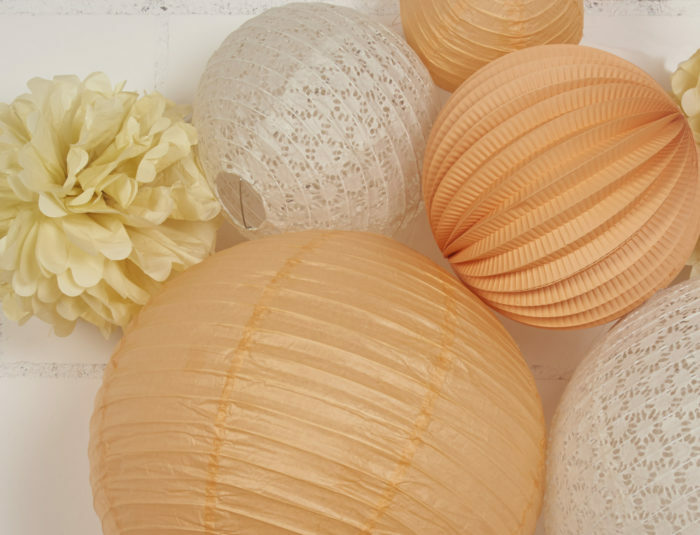 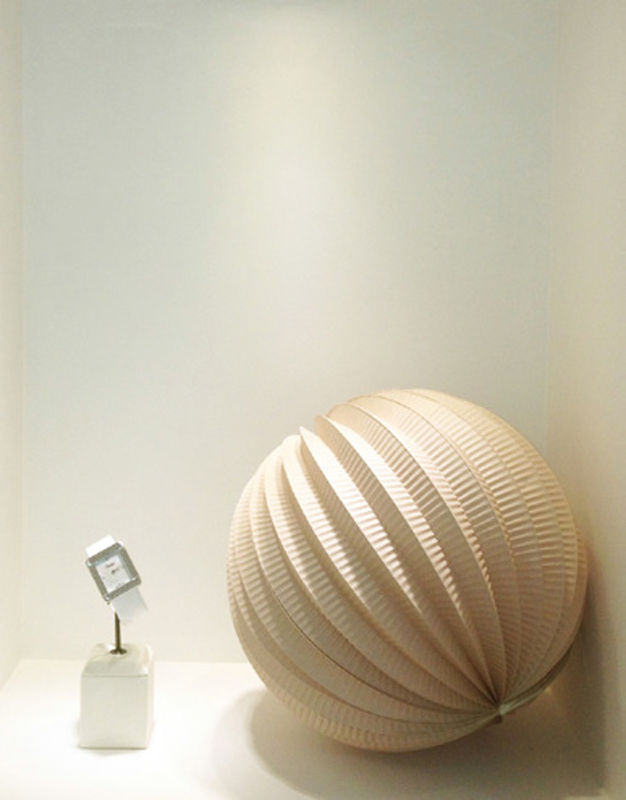 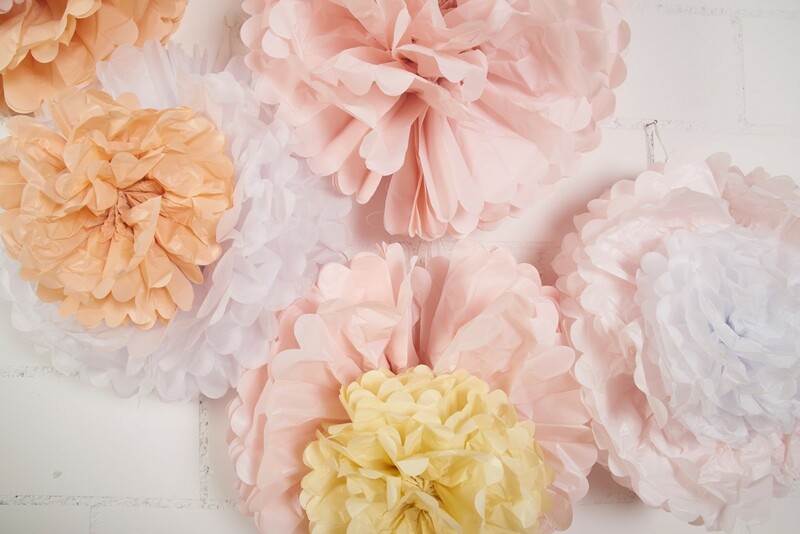 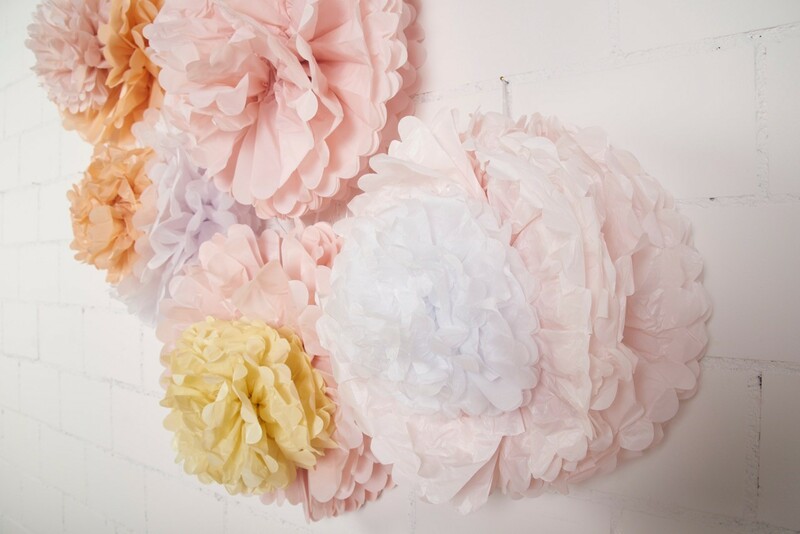 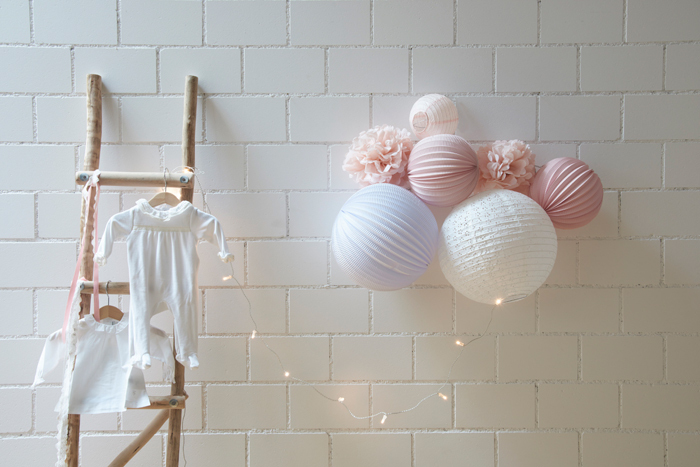 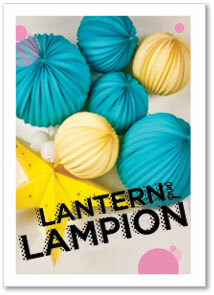 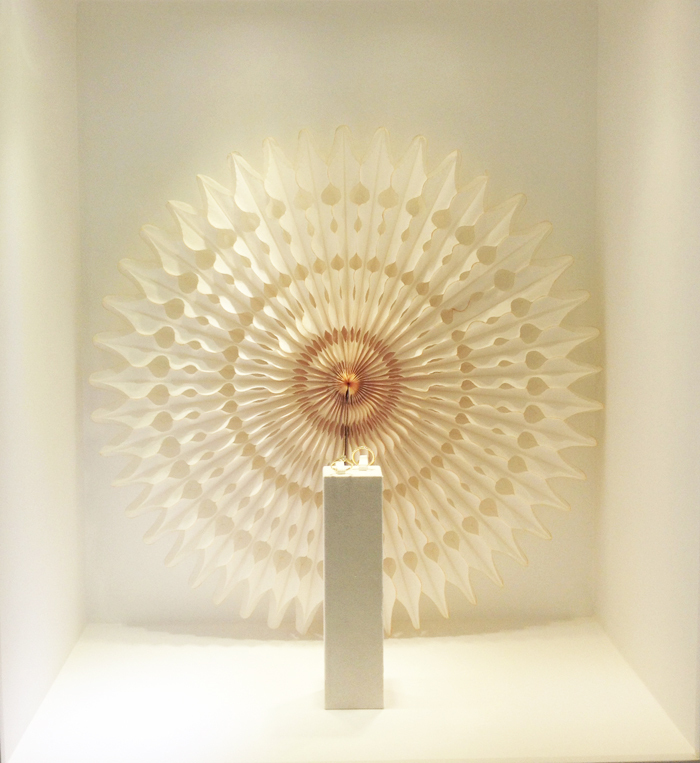 Shop around our paper lanterns in our store now! 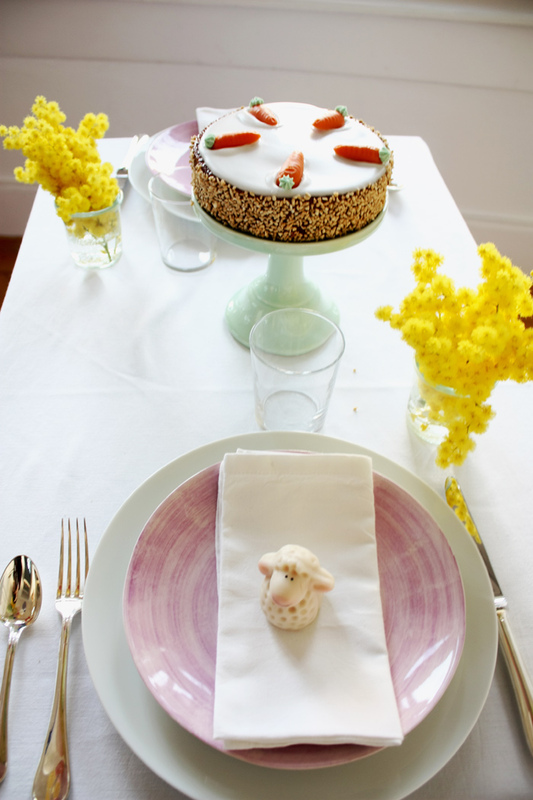 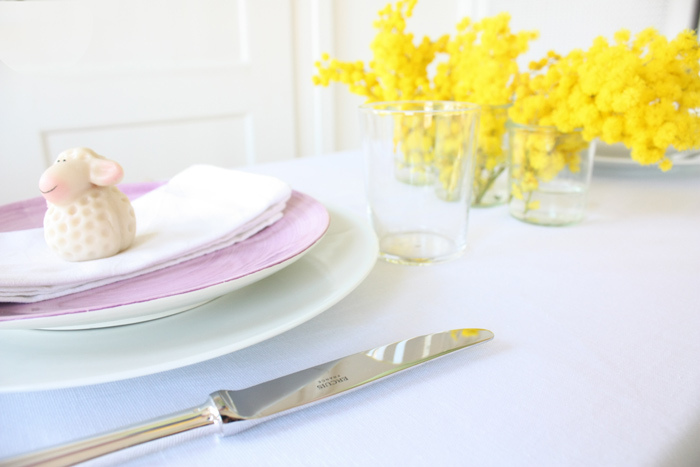 This year we’re celebrating Spring a bit ahead of time ! 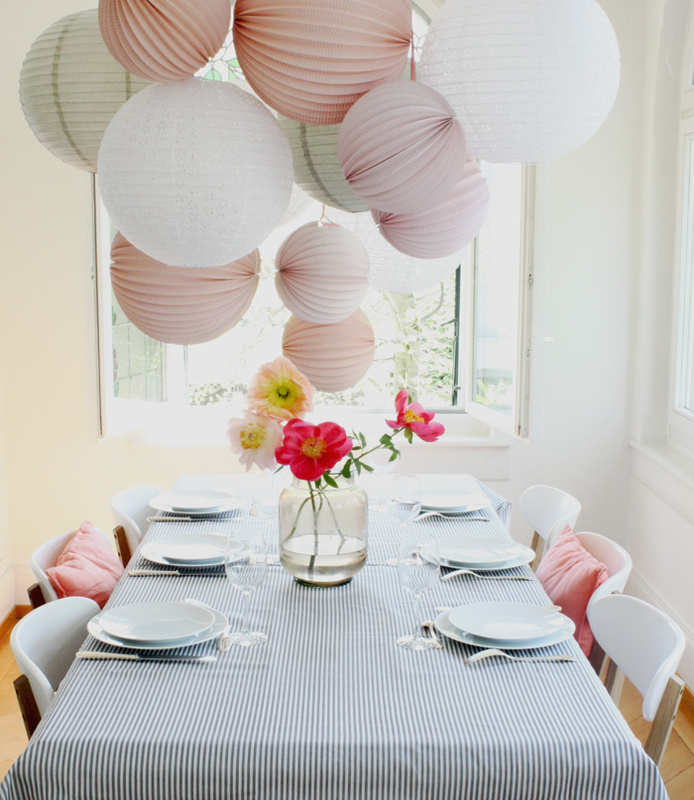 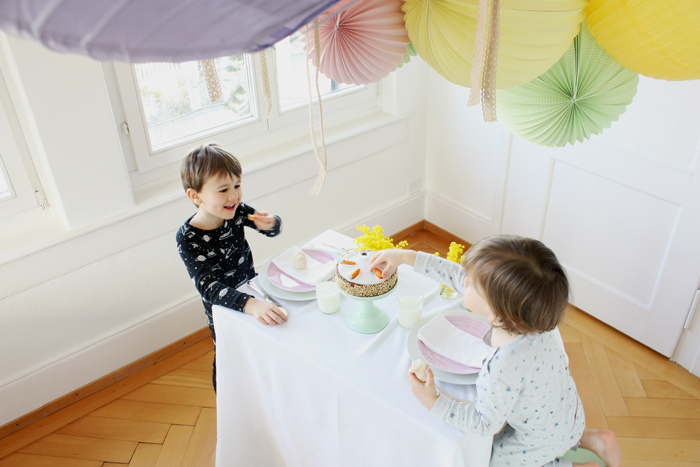 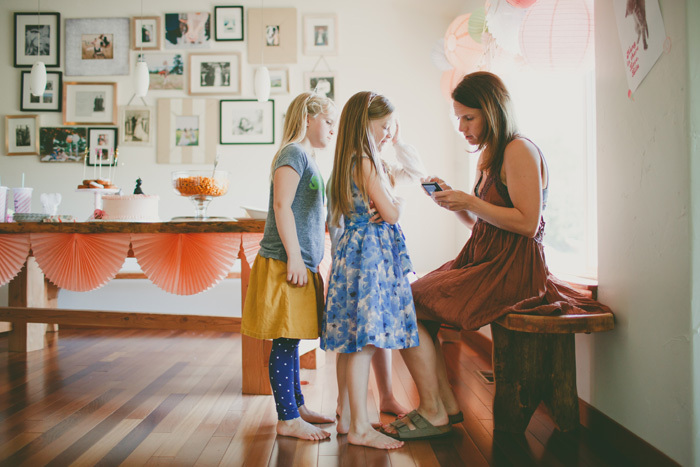 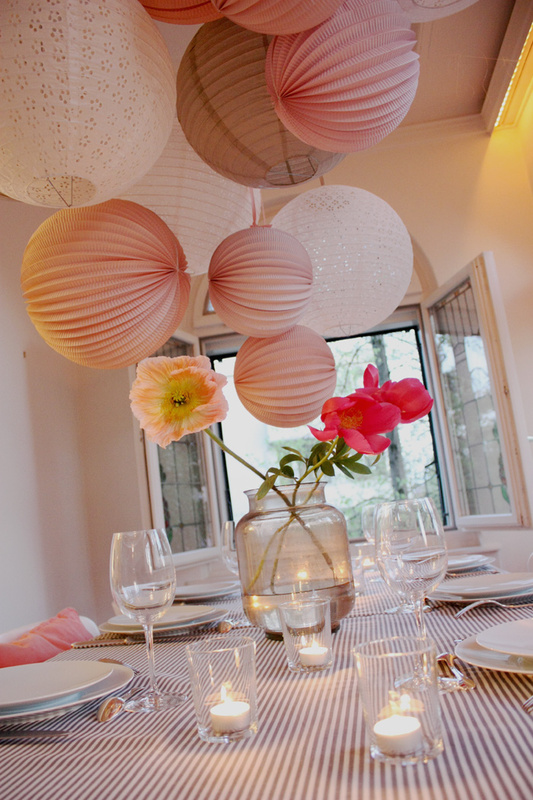 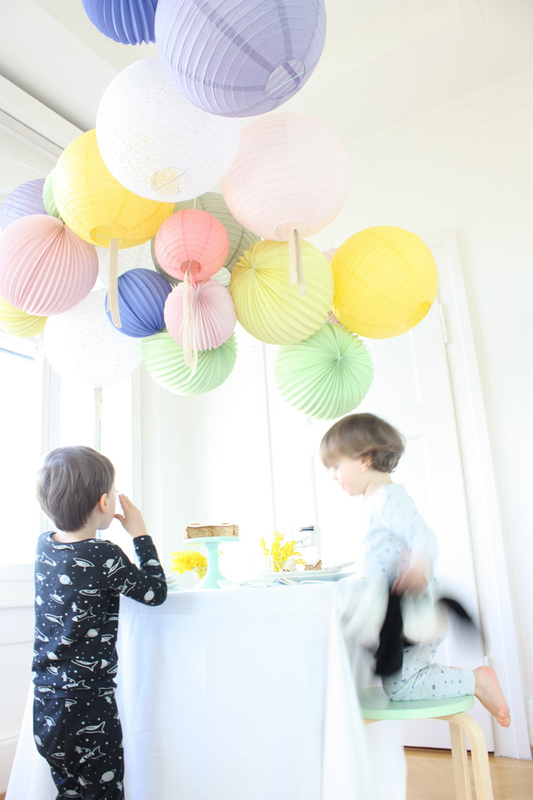 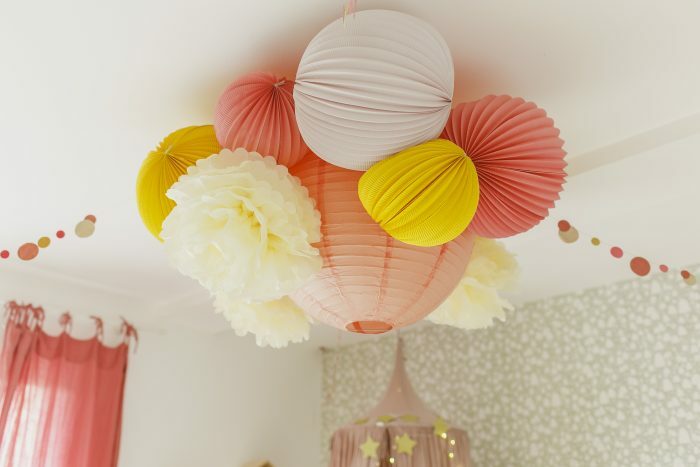 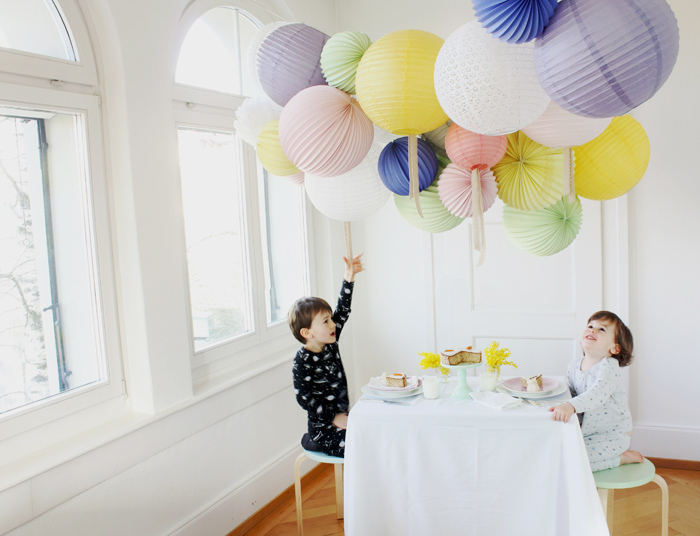 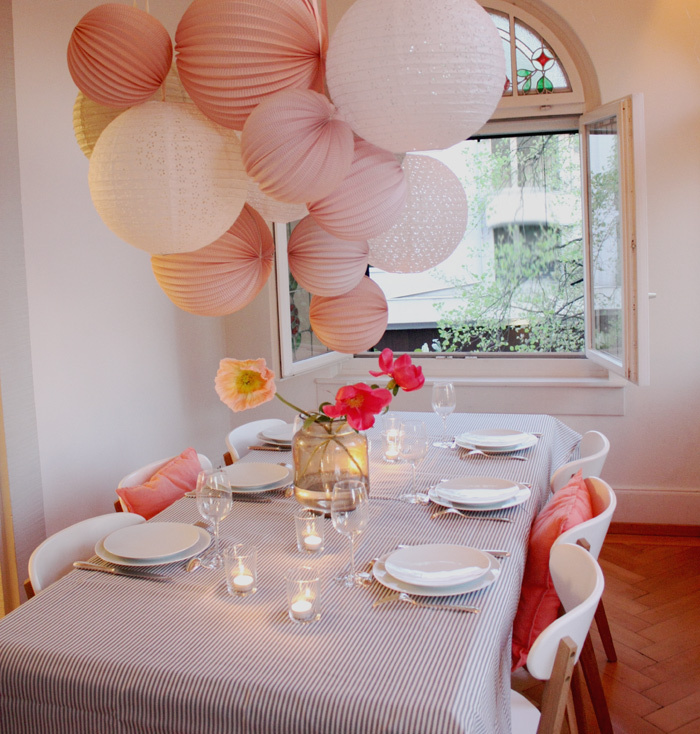 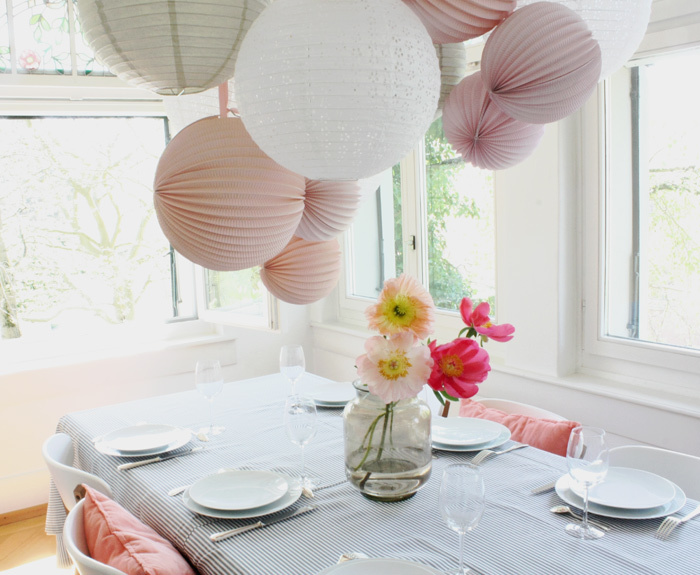 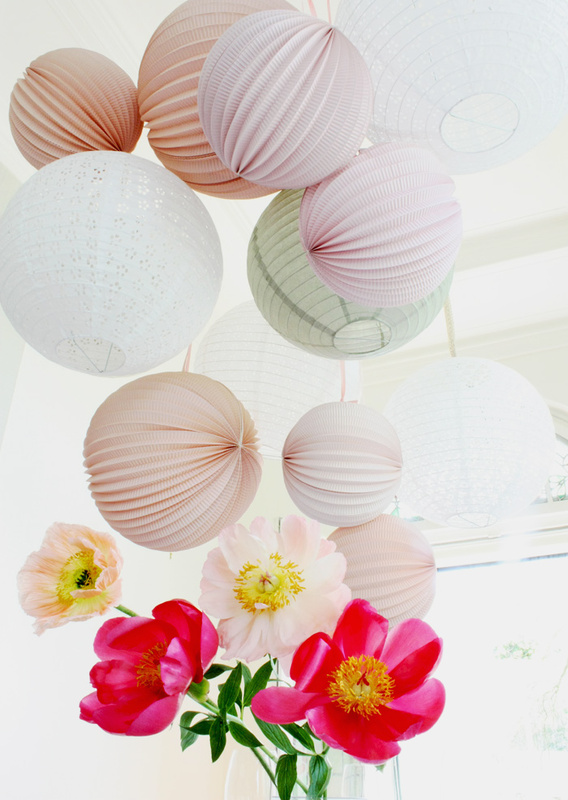 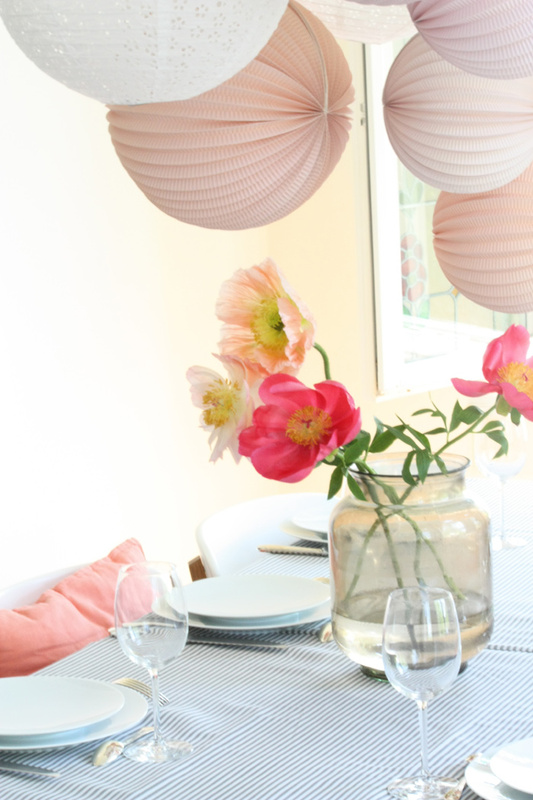 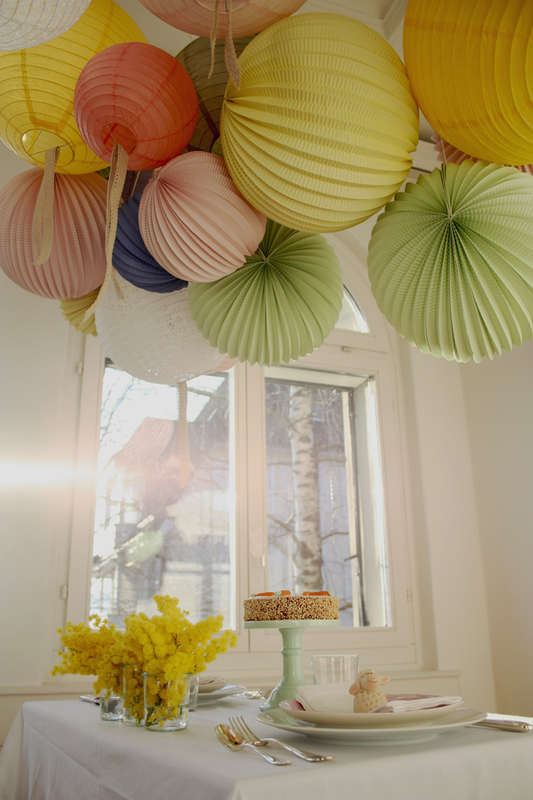 Let’s hang some paper lanterns and set a colorful breakfast table for 2 ! 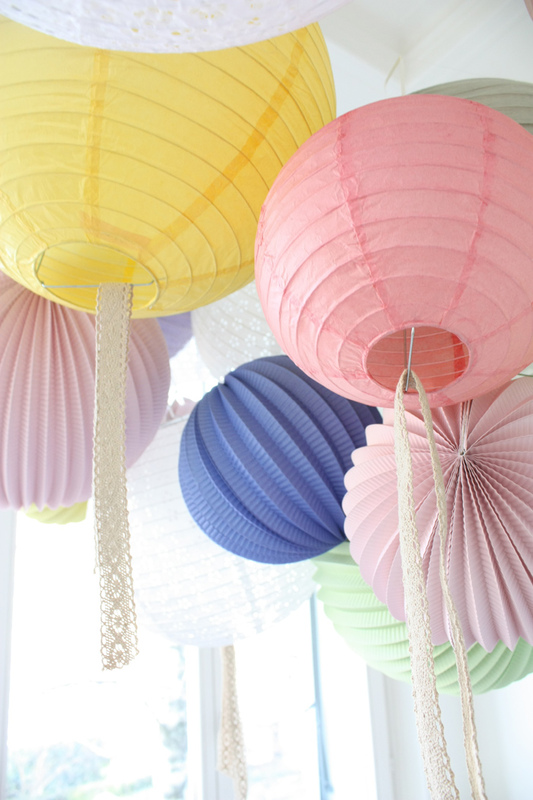 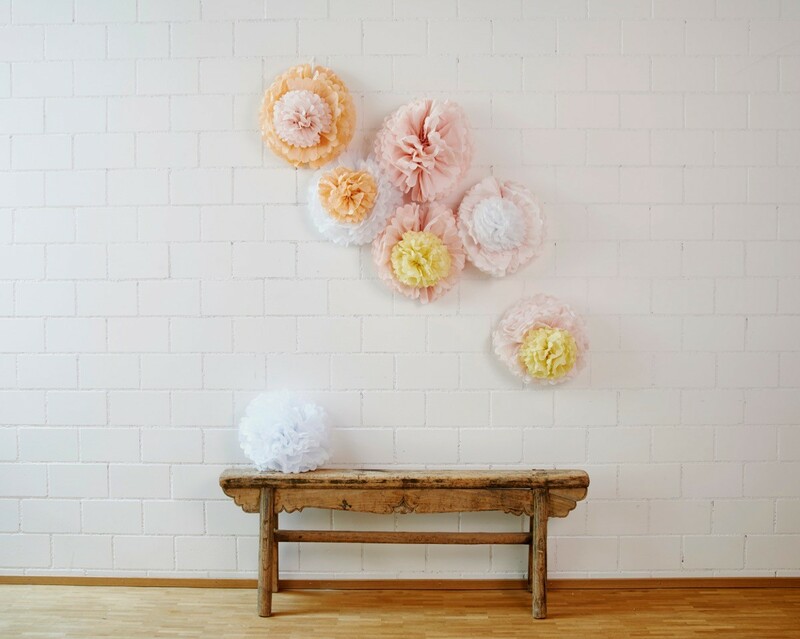 To create a similar pastel paper lanterns grouping, we used 4 pieces of fishing line and hung accordion lanterns in sizes 20cm and 30cm, as well as paper lanterns in 35cm and 20cm, some eyelet. 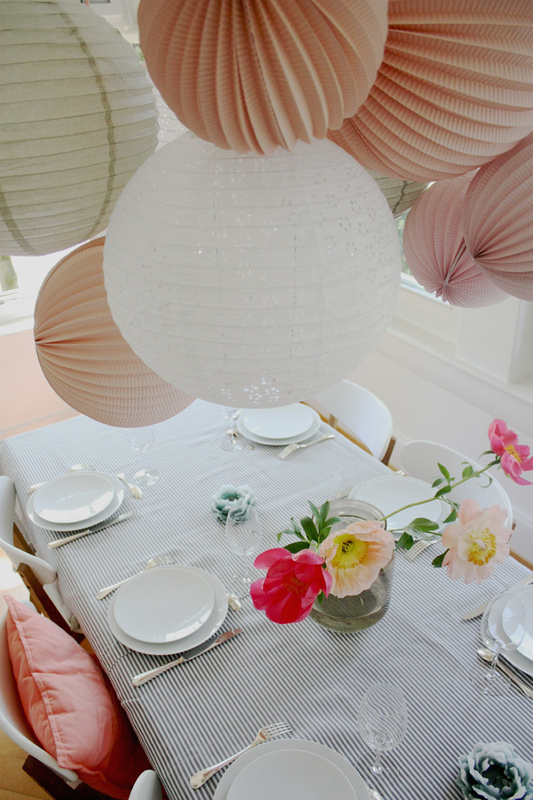 Our tip: to fix fishing line for this ceiling structure use everything you can in the room (ie a hook on your window frame). 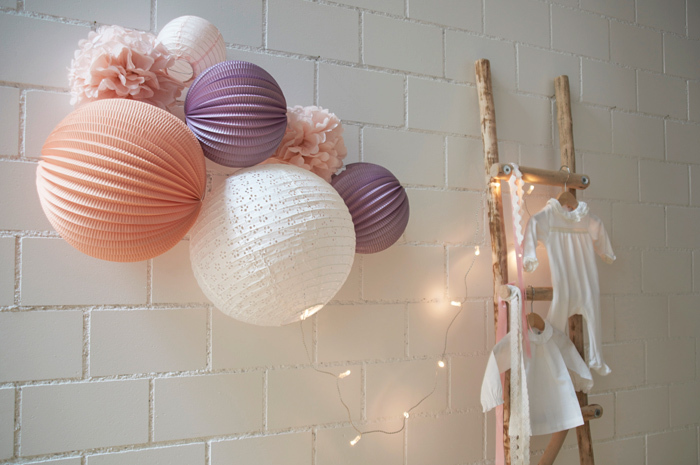 Or you can also nail little picture hooks at the top of your walls. 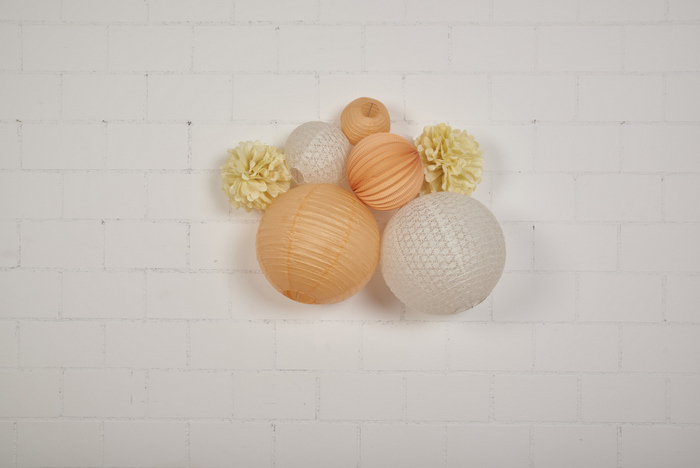 You will find all used products in the store NOW !